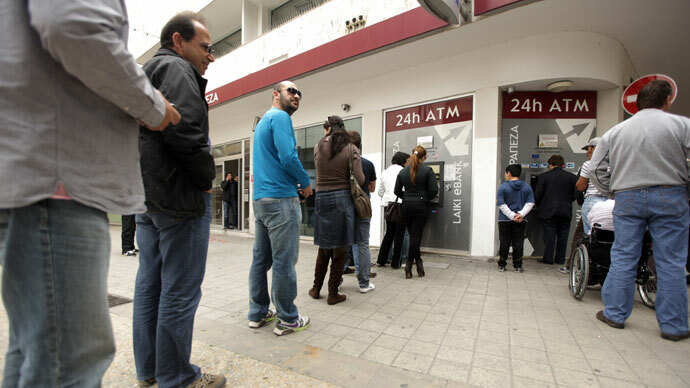 The Cypriot finance minister has ordered all the country's banks to remain closed until Thursday, the country's central bank announced. Just hours before the announcement late Monday, the central bank said all but two country’s largest banks would open on Tuesday morning. The postponement could be a sign that the country's banks are even lower on cash than they believed at the end of last week. On Monday, Cyprus reached a $13 billion bailout deal with international lenders aimed at avoiding a potential financial collapse, but forcing the country’s second largest bank Cyprus Popular Bank Pcl (CPB) to be restructured, with people holding over €100,000 in their accounts facing substantial loses. A "bad bank" is to be created to deal with uninsured deposits and the lender's badly performing loans. 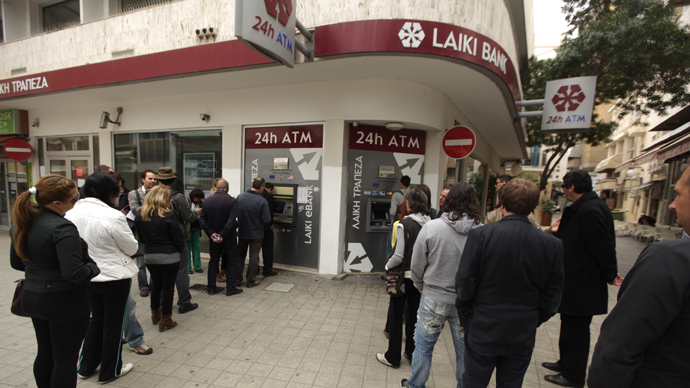 The guaranteed deposits are to be transferred to the nation's biggest financial institution, the Bank of Cyprus. But deposits over €100,000 are to remain frozen until it is clarified to what extent those deposits will be forced to take losses. Analysts estimate that people may face up to a 40 percent decrease in their savings. 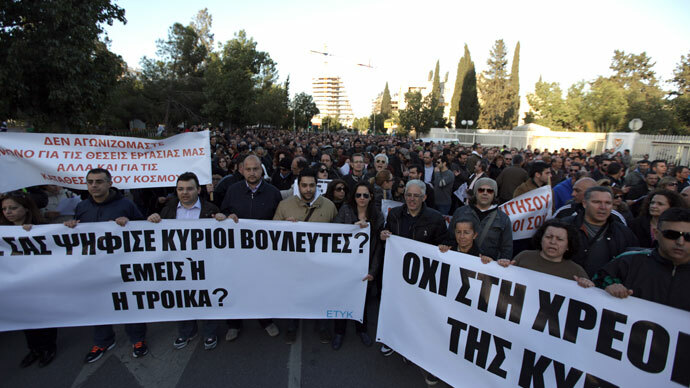 Scheherazade S. Rehman, Professor of International Finance at George Washington University, says Cyprus is setting a dangerous precedent by securing a bailout at the cost of its ordinary citizens. 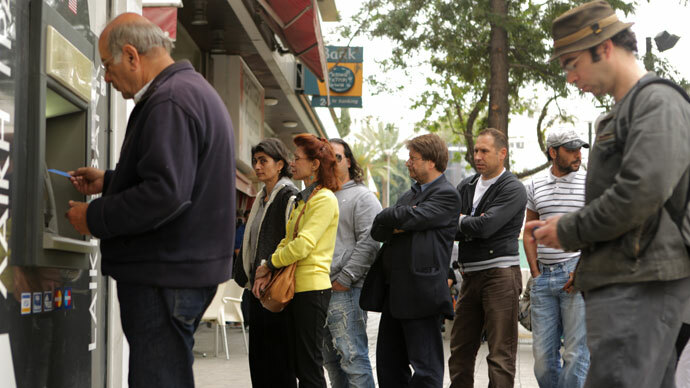 The European Central Bank on Monday said it would continue offer emergency liquidity assistance aimed at "restoring the viability of the Cypriot financial system," as people stood in line to withdraw anything they could from the bank machines. The deal with the international lenders has angered Moscow, as Russian citizens hold some 20 billion euros in Cypriot banks. Dmitry Medvedev equated the deal to "the stealing of what has already been stolen continues." 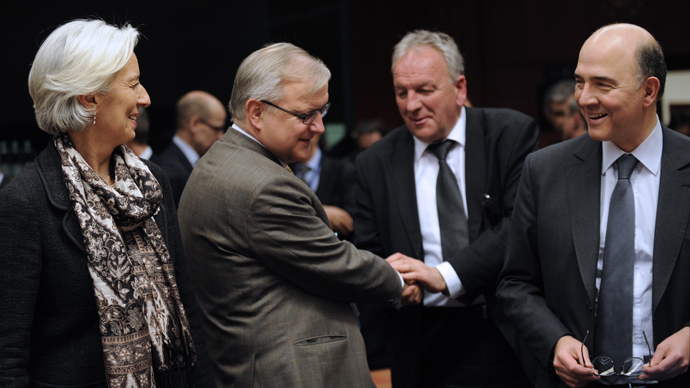 Cyprus hoped to get aid from Russia. However, the two-day negotiations between Cyprus's finance minister and his Russian counterpart last week failed as Moscow said it would not help out Cyprus before it agrees a bailout deal with the EU. Now that a deal has been struck with international lenders, Russian President Vladimir Putin has asked the government to restructure a 2.5 billion euro loan to Cyprus.